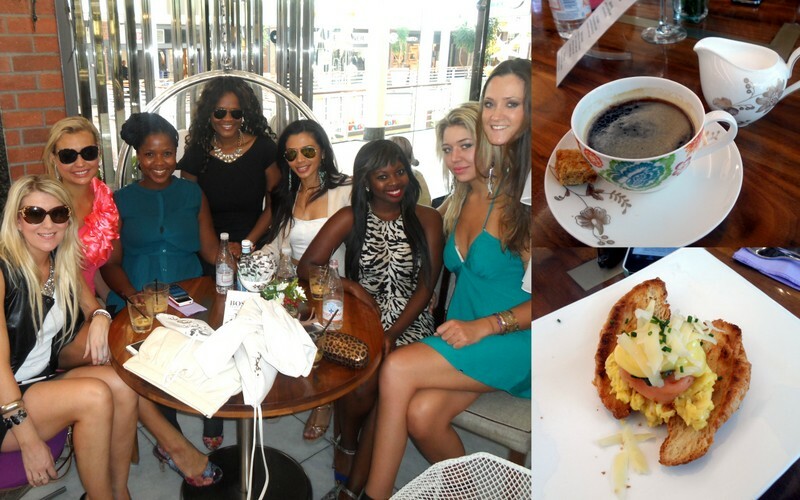 Last week I had the pleasure of attending a stylish ladies brunch at Myatt Cafe hosted by the HUGO BOSS store in the V&A. Myself and about 40 or so other girls arrived at the store in the morning where we got to browse the racks while nibbling on canapes. 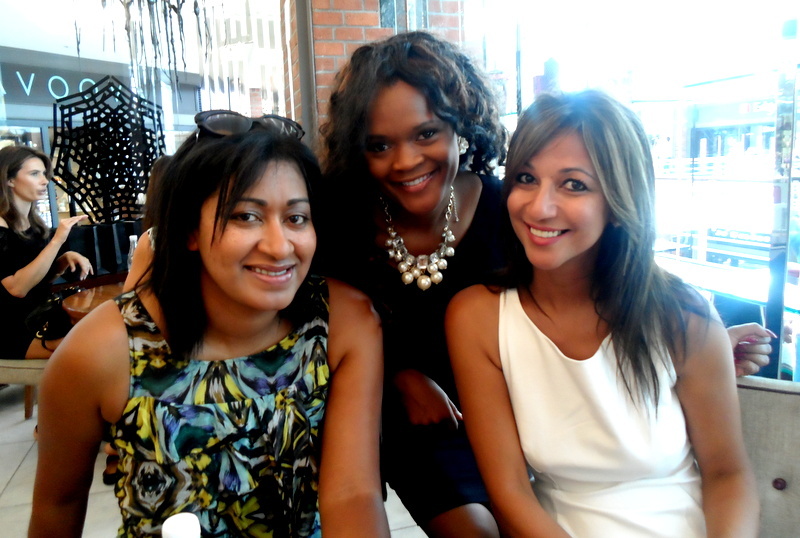 Myself, Karisa from LoveAffairCapeTown.com and Sheri-Lee from SAFashiongirl.com looking like a The Bling Ring cast reunion ten years on. 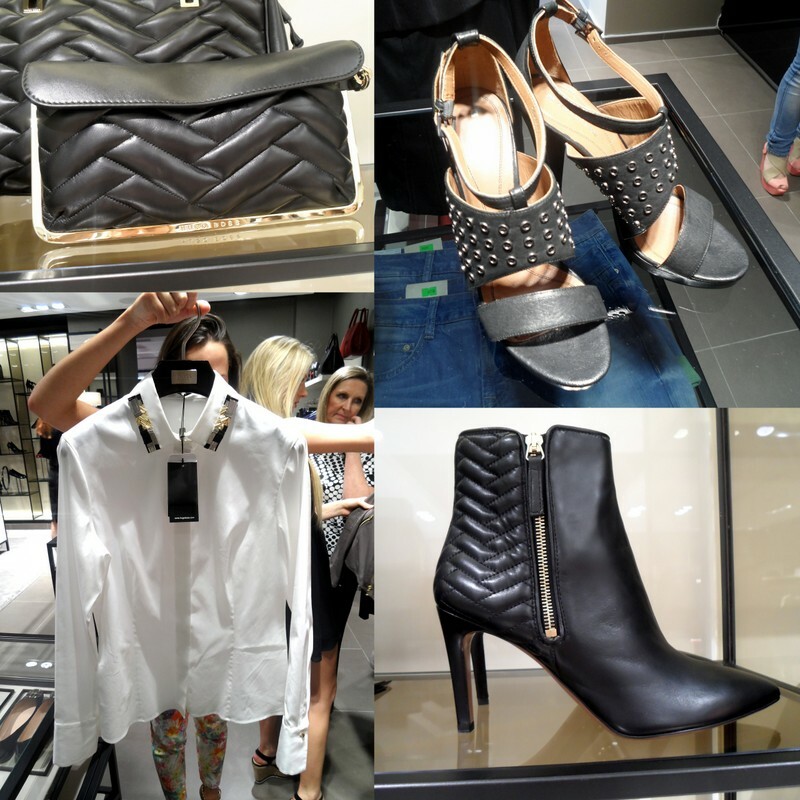 The store is fab in that they stock all the freshest fashion from all the brand’s lines; Red, Orange, Black, you name it. These were just a few of my favourite things. I got sooo excited thinking that gorgeous embellished collar shirt was marked down to just R475 but Karisa was all ‘No, dumbass, it’s four thousand seven hundred and fifty!’ and I was all ‘Oh’. <insert sade face here>. Cindy Nell, looking tres elegant in a black and white HUGO BOSS gown, was the morning’s MC. We also got to take in a little fashion show. The green dress in the centre was the crowd favourite. After the show, we all moved on to Myatt Cafe for a delish brunch which included a yummy salmon and Hollandaise sauce-topped croissant. Breakfast at Myatt is kind of like Breakfast at Tiffany’s, but with better food and mooier meisies. Spot Roxy Louw and Natalie Becker in the crowd? The morning’s highlight, however, was a lucky draw for prizes like a night’s stay at uber-luxurious Tinswalo lodge and a HUGO BOSS handbag. There was also a giant Caribbean Tan hamper in the mix which I totally had my eye on as I go through self-tan like water. In fact, I’d go so far as to say that hamper had my name on it but noooo, it was awarded to the brownest person in the room, eTV’s Tanya Nefdt, who happened to be sitting right next to me. 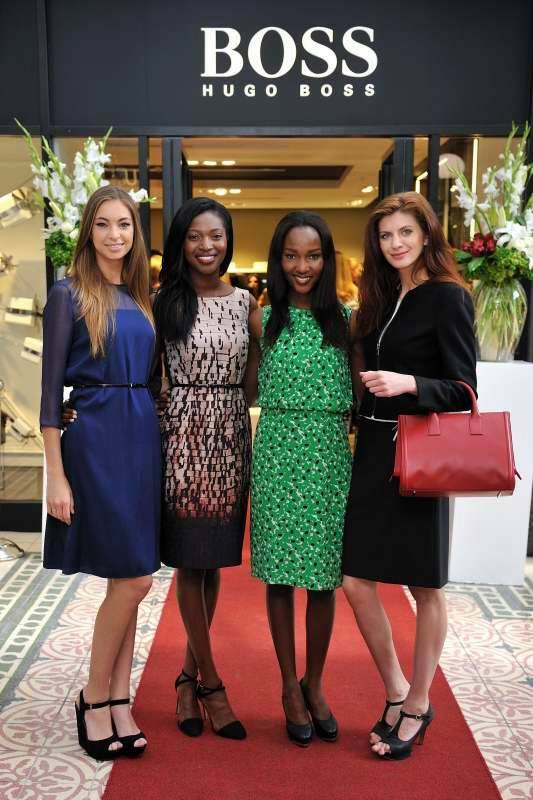 Fairlady’s Roxanne Cloete, socialite Thandie Kupe and Tanya (AKA as my smug, melanin-rich friends who’ll never know the pain of self-tan stained palms). Anyway, shattered auto bronzant dreams aside, this was a lovely morning out. And, on the upside, the goodie bag featured a host of wicked treats from Wings Group including my beloved Toffifee, so now I get to be fat and pale. Winning? A big dankie to The Little Black Book PR for a fun morning at the V&A. FYI, the piccies of Cindy and the HUGO BOSS models were taken by hot shot event photographer Werner Ryke who I frikken love ‘cos he always finds a way to make my arm look thin (and not just because I’m always slipping Wings Group goodie bag choccies into his pants). What a glam event. Don’t you think Cindy looks so much like Kim Kardashian in the pic?